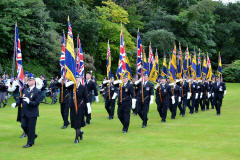 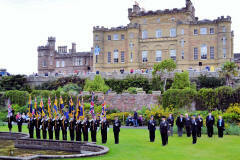 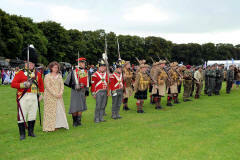 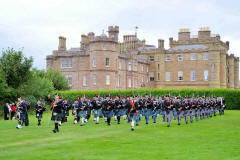 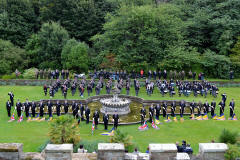 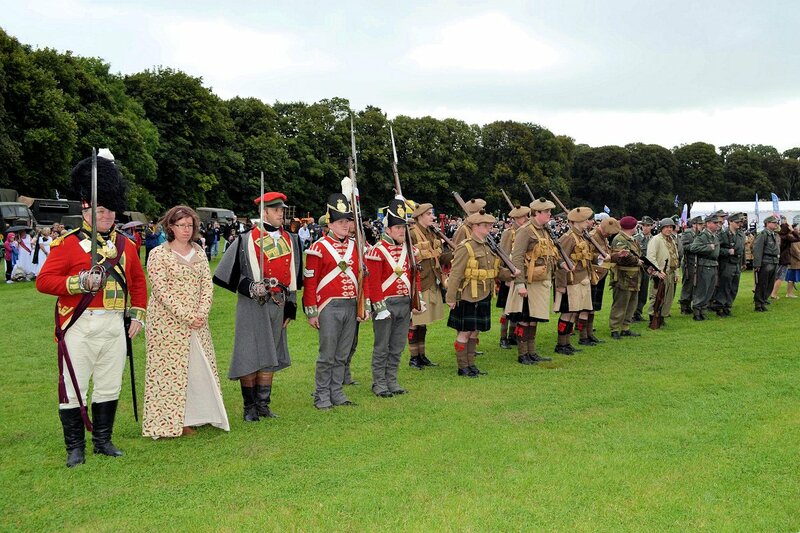 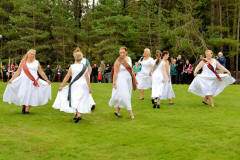 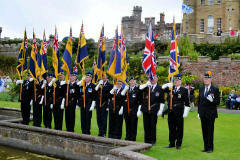 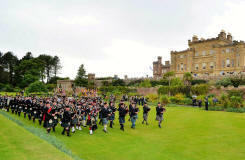 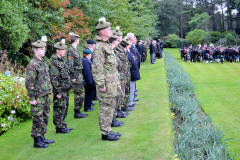 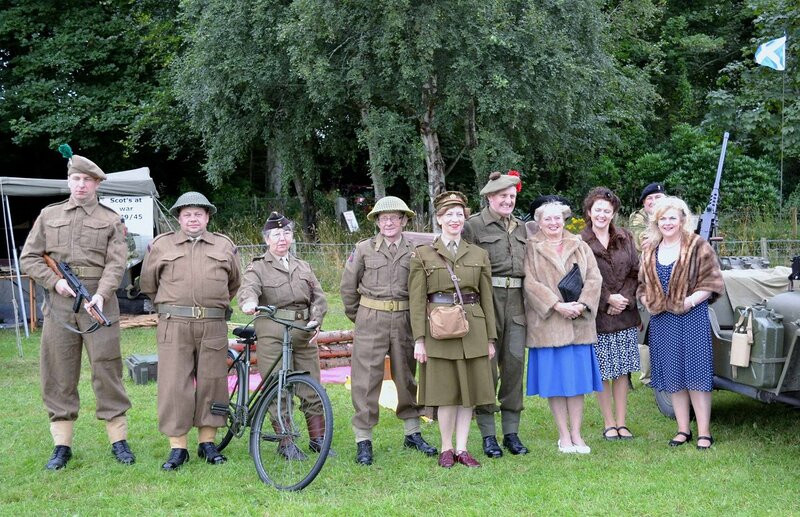 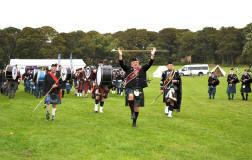 Culzean Castle and Country Park was transformed recently with a fantastic array of historical military personnel. 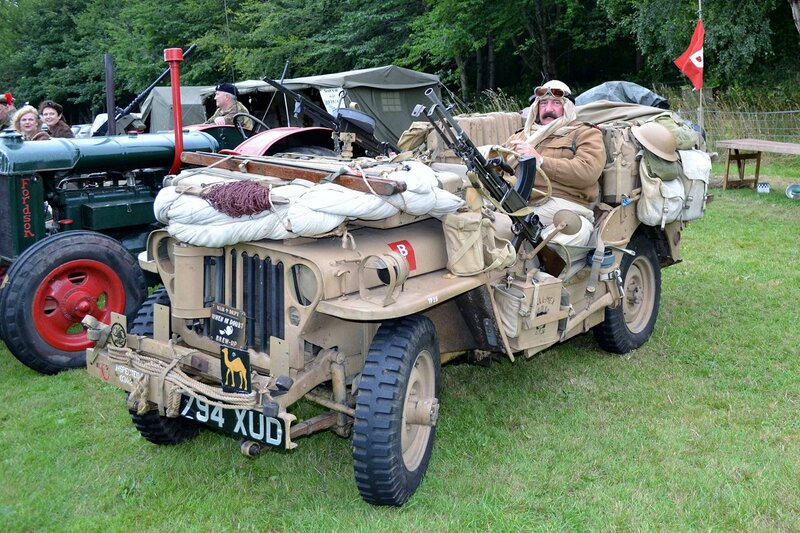 There was weaponry, vehicles and operational equipment used by a range of representatives from the armed forces throughout history. 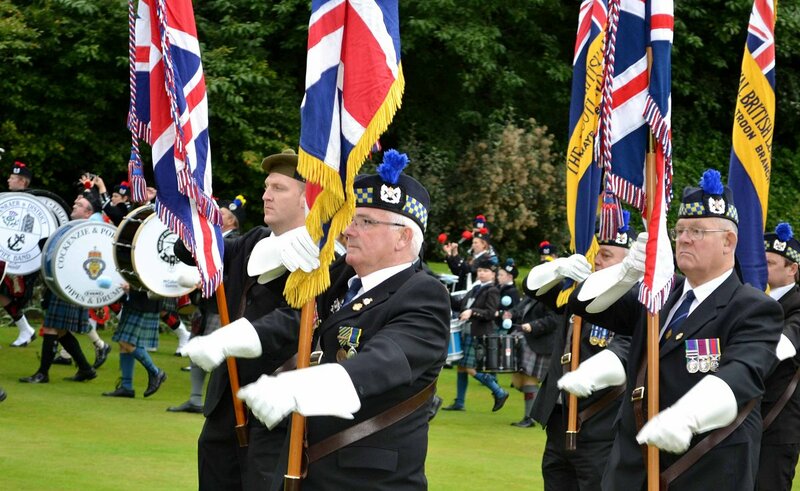 Last year, Bill Wingate, secretary of the Maybole Branch of the Royal British Legion Scotland (RBLS) came up with the idea of raising the profile of the RBLS in the Ayrshire area by getting involved in the Forces in the Field event. 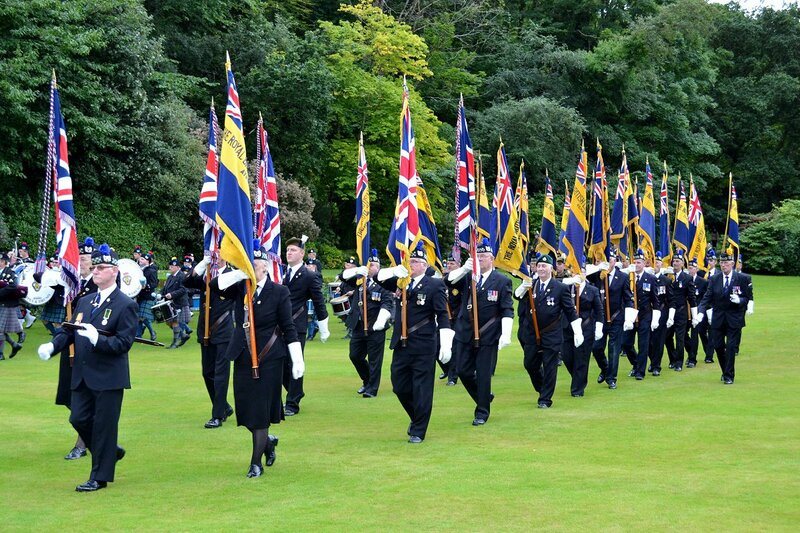 The Maybole Branch was again invited by the National Trust for Scotland to conduct a Parade and Beating Retreat during the Forces in the Field even this year. Bill’s aim was to promote the RBLS as a modern, robust and forward thinking organisation with Legionnaires, Standard Bearers, Pipe Bands, Riders Branch members, youth organisations and other organisations that support the Ex-service community in Scotland and in particular in the Ayrshire Area. 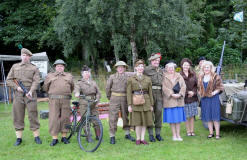 The event was part sponsored by Carrick Futures. 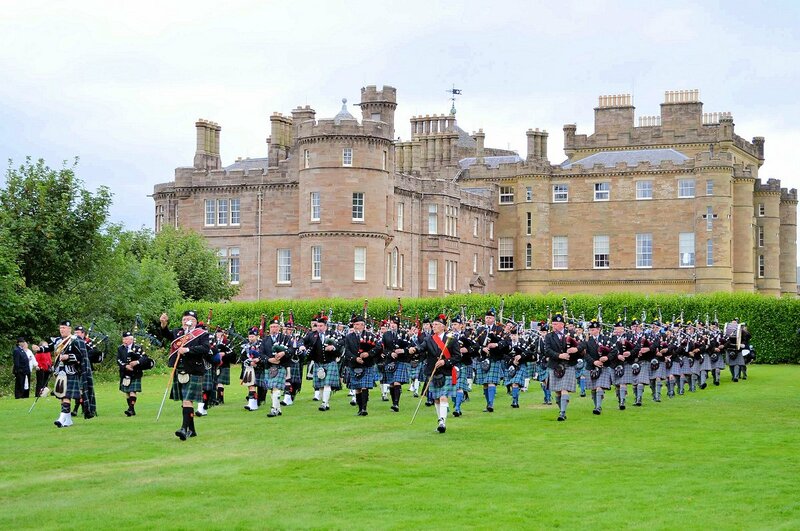 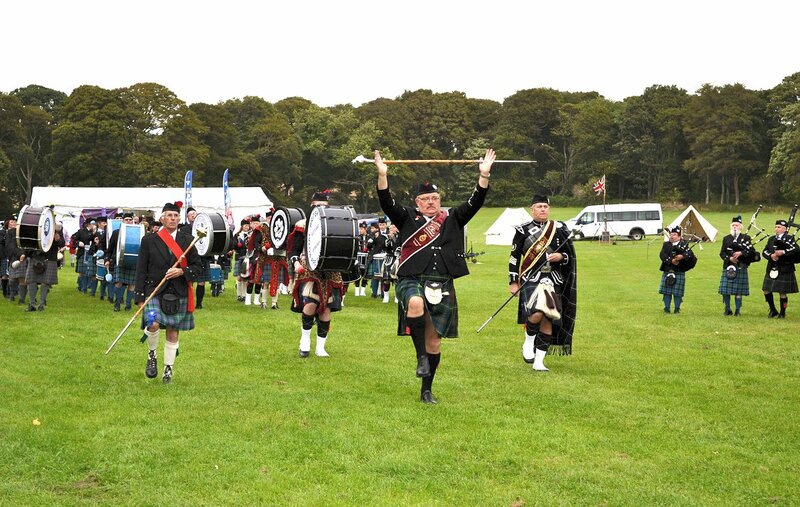 The Beating Retreat made maximum use of the Culzean Castle and Country Park area by marching between each phase with Standard Bearers, Branch members, youth organisations and the Riders Branch on their motorcycles. 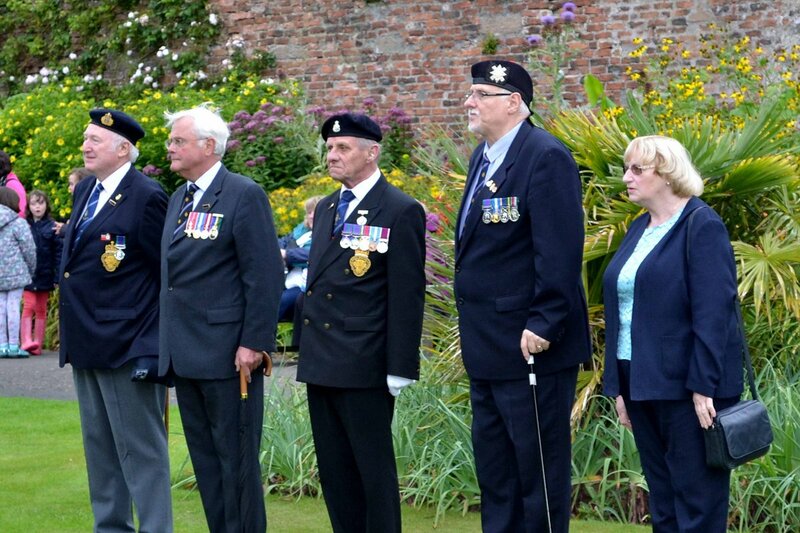 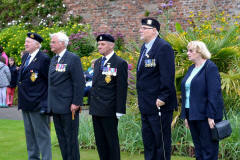 The Salute was taken by the National President of the Legion – Lieutenant General Sir Alistair Irwin KCB CBE. 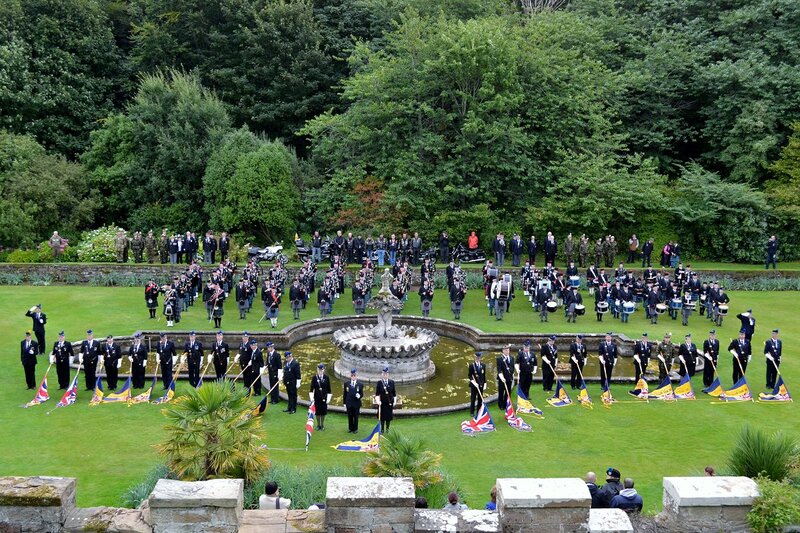 For most people the rendition of “Highland Cathedral” in the Fountain Court was magnificent and really made the hairs on the back of the neck rise. 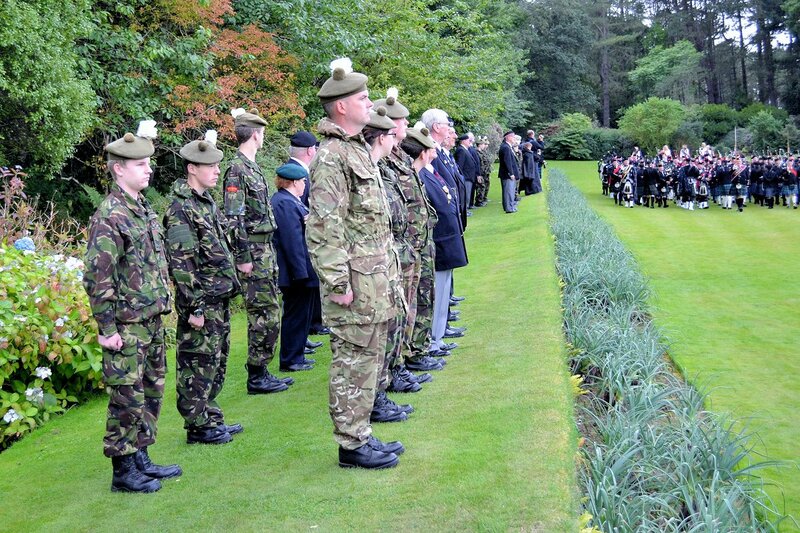 The RBLS helps ex-services men and women of all ages across Scotland to adapt to civilian life by providing community, friendship and practical advice, whether they left military service yesterday or 50 plus years ago. From specialist disablement pensions advice and welfare support, to providing a listening ear and fundraising for remembrance, all their activities and services are about making a real difference to the lives of ex-servicemen and women and their families. 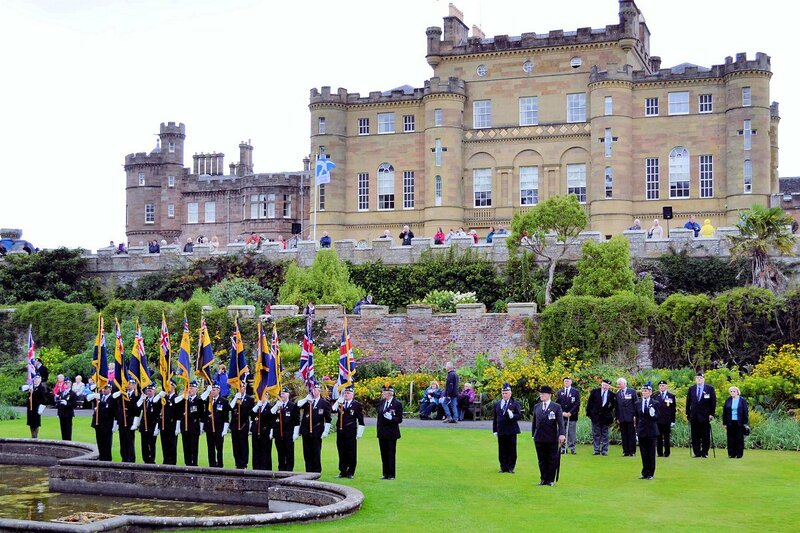 The RBLS has over 170 branches and 40,000 members from Lerwick to Dumfries in locations ranging from the capital city to rural villages. 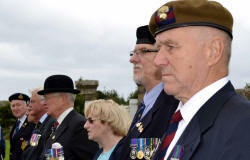 Members lead and help to organise Remembrance events around Scotland, work with schools and young people, and provide vital support to other veterans’ charities to fundraise for veterans’ causes.